The Kiev Military District (Киевский вое́нный о́круг) (KVO) was a Russian unit of military-administrative division (a military district) of the Imperial Russian Army and subsequently of the Ukrainian Army, Red Army, and Soviet Armed Forces. It was first formed in 1862. On most of its territory currently there is the Territorial Directorate "North" of Ukraine. The Kiev Military District was a Military District, a territorial division type utilised to provide a more efficient management of army units, their training and other operations activities related to combat readiness. The district originally covered the Kiev Governorate, Podolie Governorate (less Balta County), and Volhynia Governorate. Assigned formations included the 10th Army. In 1888 the Kharkov Military District was merged into the Kiev Military District. With the start of the World War I the district was transformed into the 3rd Army (Russia). In April 1917 Poltava and Kursk governorates were transferred under the administration of the Moscow Military District. 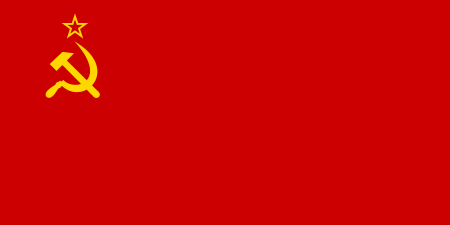 After the October Revolution in Petrograd the district came under jurisdiction of the Ukrainian People's Republic and existed until (early February 1918) the advance of the Petrograd-Moscow Red Guards forces of the Antonov's Task Force that was charged to fight counter-revolution in the Southern Russia. The district was not reinstated during brief Bolshevik period in 1918 nor after the establishment of the Ukrainian State. The district was reinstated on March 12, 1919 and then again disbanded on August 23, 1919 with the advance of the Denikin's forces. The Kiev Military Region was formed by the Denikin's forces on August 31, 1919, but already on December 14, 1919 its forces were retrieved and merged with the Forces of Novorossiysk Region. Commander of the military district was Abram Dragomirov. The District was formed again in January 1920. In April 1922 the Kiev Military District was merged with the Kharkov Military District into South-Western Military District. In June 1922 it was renamed into the Ukrainian Military District. The 6th Rifle Corps was formed on the orders of the Commander of the Armed Forces of Ukraine and Crimea number 627/162 from May 23, 1922 in Kiev, part of Kiev and Kharkov Military District. On May 17, 1935 the Ukrainian Military District was split between the Kharkov Military District and the Kiev Military District. 13th Rifle Corps was reformed in the district in accordance with a District order of December 1936, and its headquarters was established at Belaya Tserkov. On July 26, 1939 the district was renamed into the Kiev Special Military District. When the German Operation Barbarossa began on 22 June 1941, on the base of the Kiev Special Military District was created the Soviet Southwestern Front that on September 10, 1941 completely integrated the district. The District was formed again on 25 October 1943, with the Headquarters in Kiev. In June 1946, 7 oblasts of the disbanded Kharkov Military District were added to the Kiev Military District. The District now included the oblasts (provinces) of Kiev, Cherkasy, Uman, Voroshilovgrad, Dnipropetrovsk, Poltava, Stalin, Sumy, Kharkiv and Chernihiv. Units stationed in the District were 1st Guards Army and 6th Guards Tank Army. 69th Air Army was active from the early 1950s to at least 1964 in the district. (See ru:Колесник, Василий Артёмович) In 1959 the 17th Air Army was relocated to the District from Mongolia to provide air support. The 60th Corps of the 8th Air Defense Army provided air defense for the District. The 43rd Rocket Army of the Strategic Rocket Forces was formed at Vinnitsa within the District's boundaries in 1960. It comprised the 19th Rocket Division (Khmelnitsky), 37th Guards Rocket Division (Lutsk), 43rd Rocket Division (Kremenchug), 44th Rocket Division (Kolomyia, Ivano-Frankovsk Oblast, disbanded 31 March 1990. Previously 73rd Engineer Brigade RVGK at Kamyshin. ), and the 46th Rocket Division (Pervomaisk, Mykolaiv Oblast). The 43rd Rocket Army's last commander was Colonel-General Vladimir Alekseevich Mikhtyuk, who served from 10.1.1991 to 8.5.1996. It was finally disbanded on 8 May 1996. In 1991 the district included 6th Guards Tank Army - Dnipropetrovsk, 1st Guards Army - Chernihiv, 36th Motor Rifle Division (Artemovsk), 48th Motor Rifle Division (Chuguev) and the 48th Guards Tank Training Division (Desna), the 9th independent Special Forces Brigade GRU (activated 15.10.62 in Kirovograd, Kirovograd Oblast, Kiev Military District, formation complete 31.12.62., taken over by Ukraine 1992) the 17th Air Army, and the 60th Air Defence Corps of the 8th Air Defence Army (Soviet Air Defence Forces). Among the district's air force units were the Chernigov Higher Military Aviation School of Pilots at Chernigov. Also located within the district's boundaries but responsible to HQ South-Western Strategic Direction was the 23rd independent Landing-Assault Brigade (effectively an airmobile brigade), at Kremenchug, Poltava Oblast. In 1991, Colonel General Viktor S. Chechevatov was dismissed as District commander for refusing to take an oath of loyalty to Ukraine. The District was disbanded after the dissolution of the Soviet Union, by 1 November 1992, and its structure utilized as the basis for the new Ukrainian Ministry of Defense and General Staff. ↑ Meltyuhov MI Lost Chance of Stalin. 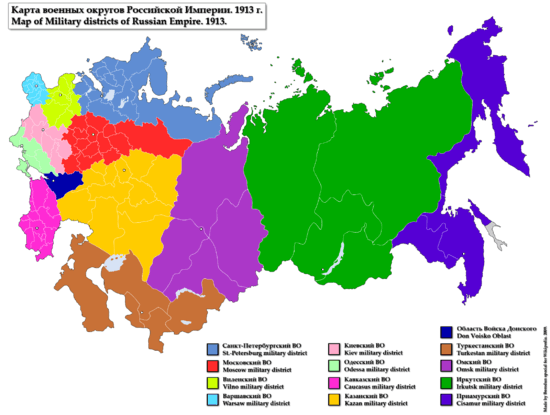 ↑ Soviet Union during the Great Patriotic War of 1941-1945, 1976 . ↑ Feskov,, V.I. ; K.A. Kalashnikov; V.I. Golikov (2004). The Soviet Army in the Years of the 'Cold War' (1945-1991). Tomsk: Tomsk University Press. p. 8. ISBN 5-7511-1819-7. The Red Kiev. Studies in the History of the Red Banner Kiev Military District (1919-1979). Second edition, revised and expanded. Kiev, Ukraine Political Literature Publishing House. 1979.